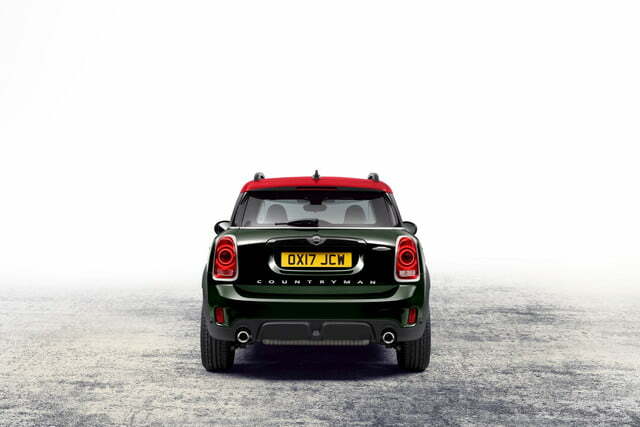 Mini used to offer just one model, but that is no longer the case. 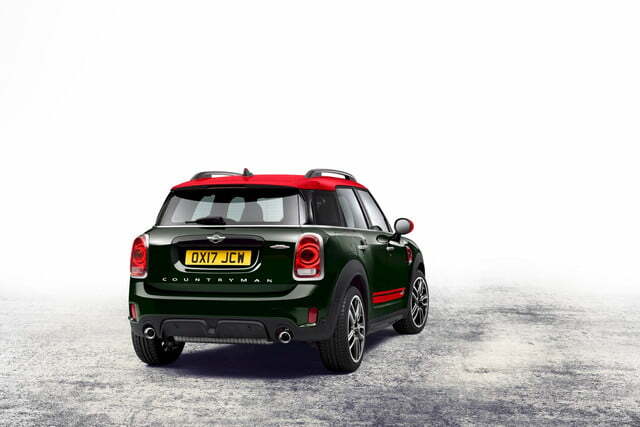 The Mini Cooper has spawned an array of variants including hatchbacks, a convertible, a wagon, and the Countryman crossover. 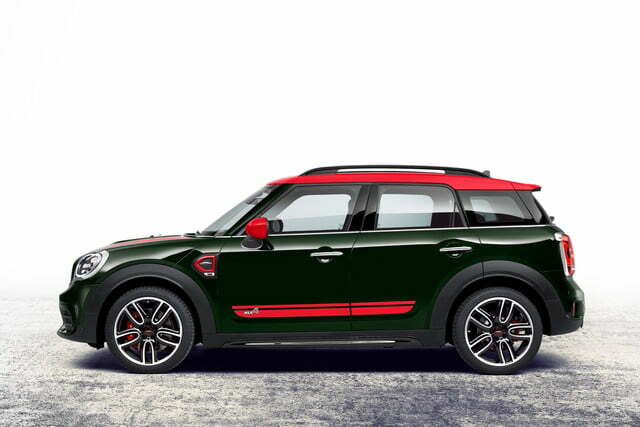 And Mini now wants to make a John Cooper Works performance version of all of them. 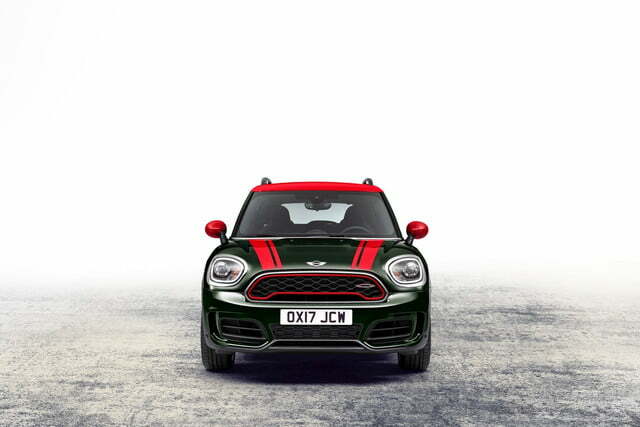 The new Mini John Cooper Works Countryman is based on the second-generation Countryman unveiled two months ago at the 2016 Los Angeles Auto Show. 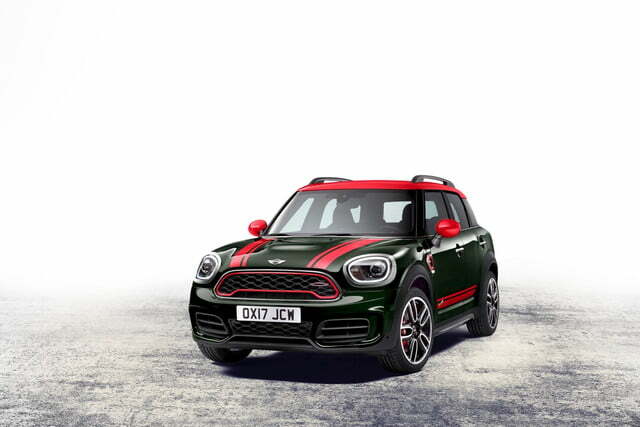 It boasts the same turbocharged engine as the John Cooper Works Clubman wagon, plus a tuned version of the standard Countryman’s All4 all-wheel drive system, sportier suspension and brakes, and some boy racer styling bits. 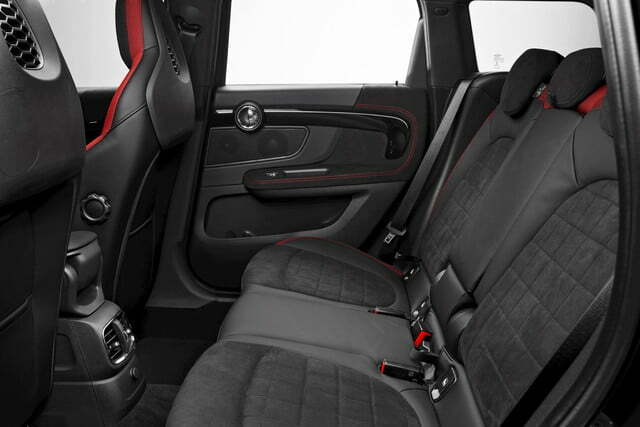 At the heart of the John Cooper Works Countryman is a 2.0-liter, turbocharged four-cylinder engine that produces 228 horsepower and 258 pound-feet of torque. 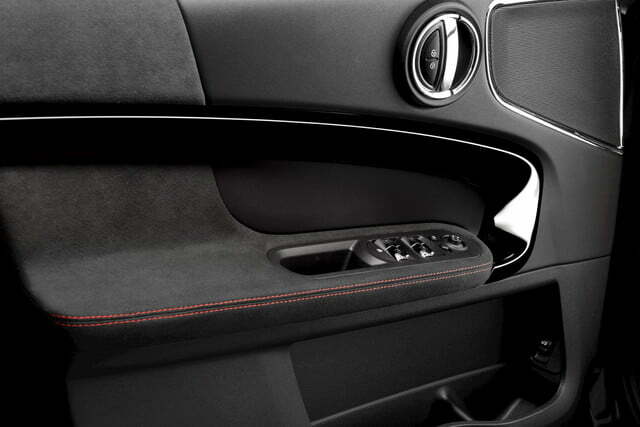 That power is sent to all four wheels through a six-speed manual or eight-speed automatic transmissions. 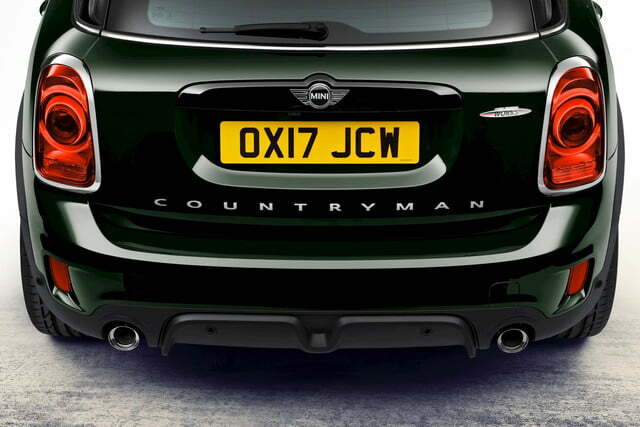 Mini says it will go from 0 to 60 mph in 6.2 seconds, which is 0.8 of a second quicker than the Countryman S All4 this model is based on. Top speed is 145 mph. 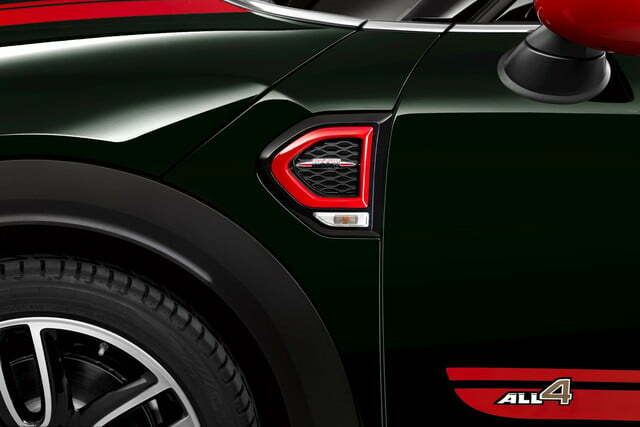 Mini is quick to note that 50 years ago, it won the prestigious Monte Carlo rally three times, but while those original Mini cars emphasized nimbleness and simplicity, the John Cooper Works Countryman emphasizes power and technology. 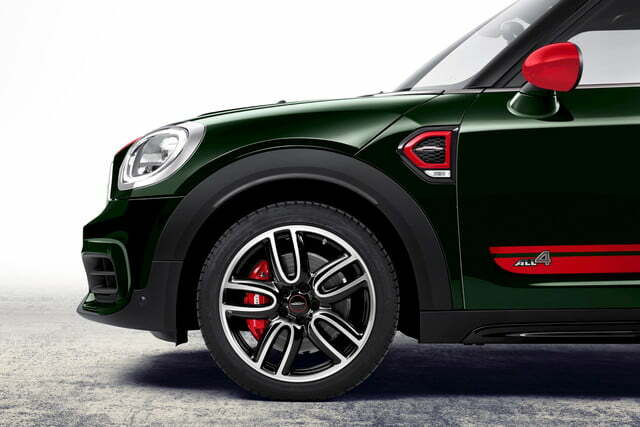 Still, with its substantial Brembo brakes and sport-tuned Dynamic Damper Control adjustable suspension, this souped-up utility vehicle should be pretty lively. 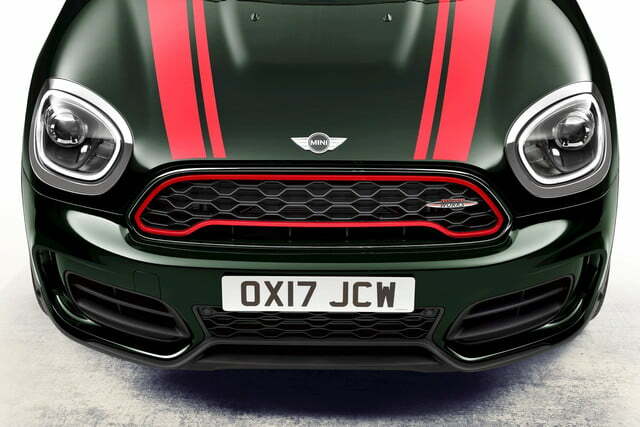 The John Cooper Works is distinguished from other Countryman models by a body kit and special 19-inch wheels on the outside, and a sport steering wheel, sport seats, and lots of red trim on the inside. 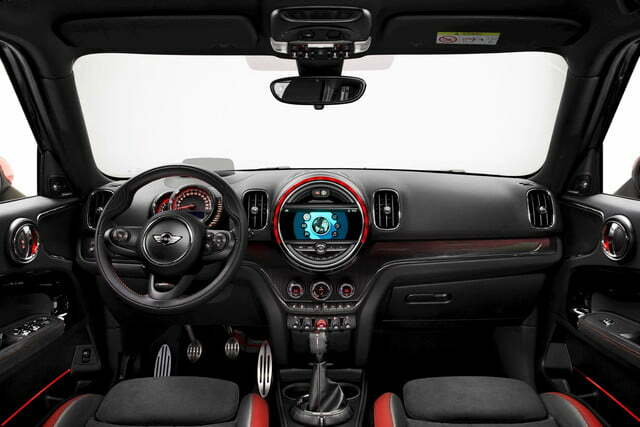 This model also comes fairly well equipped, with standard features like LED headlights, panoramic glass roof, Mini Connected infotainment system with 6.5-inch display screen, parking sensors, and keyless entry. 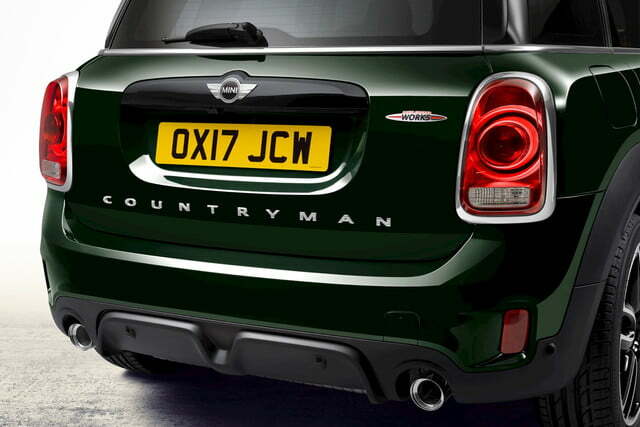 Whether the Mini John Cooper Works Countryman will be a good value is unclear, as Mini won’t discuss pricing just yet. 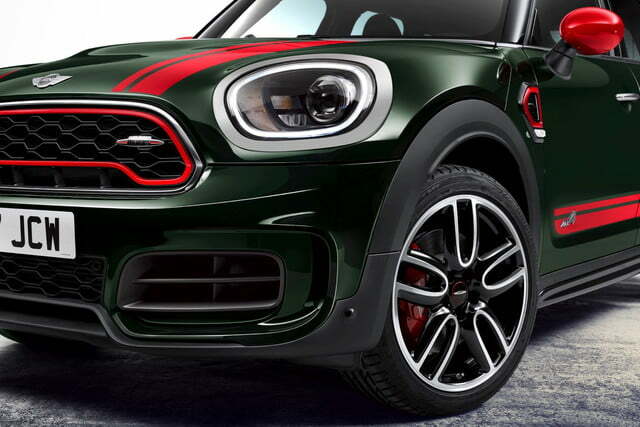 The John Cooper Works Countryman will make its public debut in April at the 2017 Shanghai Motor Show, around the same time that it arrives in U.S. dealerships.